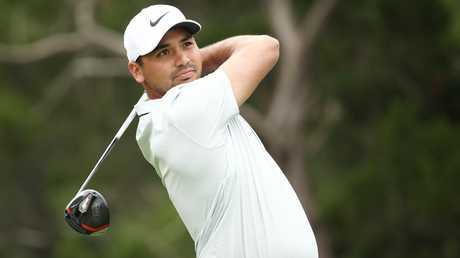 JASON Day says a week of rest and rehabilitation has his troublesome back "feeling good" as he prepares to begin his Masters preparation at Augusta National. Australian golf fans can breathe a little easier, knowing the former world No. 1 will check in for his first practice round on Monday (AEST). World No. 14 Day recently suffered a minor tear in a disc in his back which forced his withdrawal from the Arnold Palmer Invitational in early March. 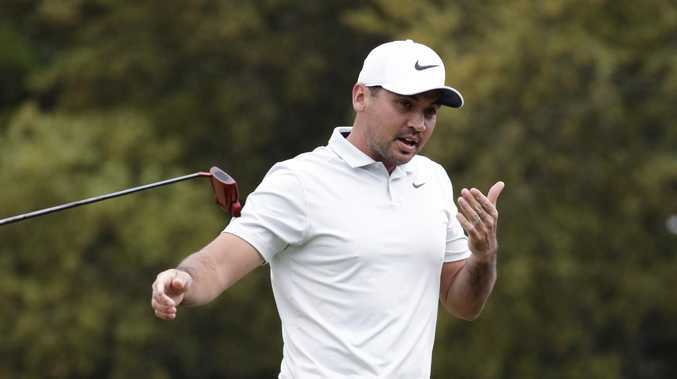 The 31-year-old had multiple cortisone injections around his spine - which were effective - but pain and stiffness plagued him during a solid Players Championship campaign and a group stage elimination from the WGC-Match Play. That early exit from the Match Play - an event he had won twice - proved a blessing in disguise as Day gained two extra days for rest and physiotherapy on his back. "Yeah, the back is feeling good and I'm starting to get excited to get into Masters week and sharpen up," Day said. "Thankfully, I've got a really good team back home (in Ohio) and it was a matter of being strict with my rehab and resting a lot. "We did a lot of that and the back feels nice." Day, who has previous second and third placings at the Masters, will take co- caddie Luke Reardon to Augusta this year after Rika Batibasaga carried the clubs for him at last year's Masters. Reardon and Batibasaga share caddie duties on the US PGA Tour for childhood mate Day but this will be Reardon's first Masters as a caddie. Day and 2013 Masters winner Adam Scott are due to play Sunday afternoon practice rounds, while Australia's form player on the US PGA Tour, Marc Leishman, and Cameron Smith will likely arrive for practice on Monday. World No. 19 Leishman is the only Australian to win a US PGA Tour event this season and has posted three top-four results this year. He was also the last Australian standing at the WGC-Match Play two weeks ago, making it to the round of 16. Augusta is forecast to receive rain from Sunday through Tuesday, as well as for Friday's second round.